Mac Pro(3.5GHz 6-core Xeon E5, 16GB Memory, 256GB Flash Storage)Dual workstation-class GPUs. 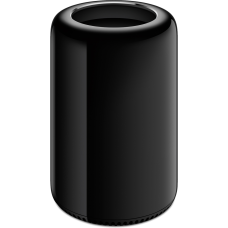 State-o..
Mac Pro(3.7GHz quad-core Xeon E5, 12GB Memory, 256GB Flash Storage)Dual workstation-class GPUs. Stat..